When you want a great new family vehicle in the Mechanicstown area, you know that Middletown Honda is just a short drive away, where we have the 2014 Honda Odyssey in stock right now. The latest in Honda’s minivan line, the Odyssey is affordable, features impeccable safety, and gives drivers access to amenities that many other automakers simply don’t. There are other minivans on the market today, though. How does the Odyssey fair against a competitor like the 2014 Dodge Grand Caravan? Drivers can equip the Dodge Grand Caravan with some comparable features, but they would have to upgrade beyond the entry-level American Value Package trim level of the Dodge. Honda gives drivers all of these features and more at the entry-level trim. While we’re sure the Grand Caravan is not a bad vehicle for families, we think that the Odyssey just does it better. 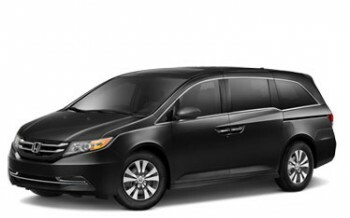 To start with, did you know that the 2014 Honda Odyssey is the only vehicle in the minivan class to earn the Top Safety Pick+ Award from the Insurance Institute for Highway Safety? The other main family-friendly feature about the Odyssey we love here at Middletown Honda is the HondaVac. Available on the Touring Elite trim level, there is not another minivan on the market that has a built-in vacuum cleaner. Keep your Odyssey free of spills and crumbs with the HondaVac. To see the 2014 Honda Odyssey firsthand, we suggest some quality time behind the wheel. Contact our sales team at Middletown Honda and ask if you can schedule a test drive. We think you’ll be glad you did. We’re located in Middletown at 520 Route 211 East, just a quick 10-minute trip for our Mechanicstown drivers, and we assure you we’re worth a visit.